OLD PARKED CARS. 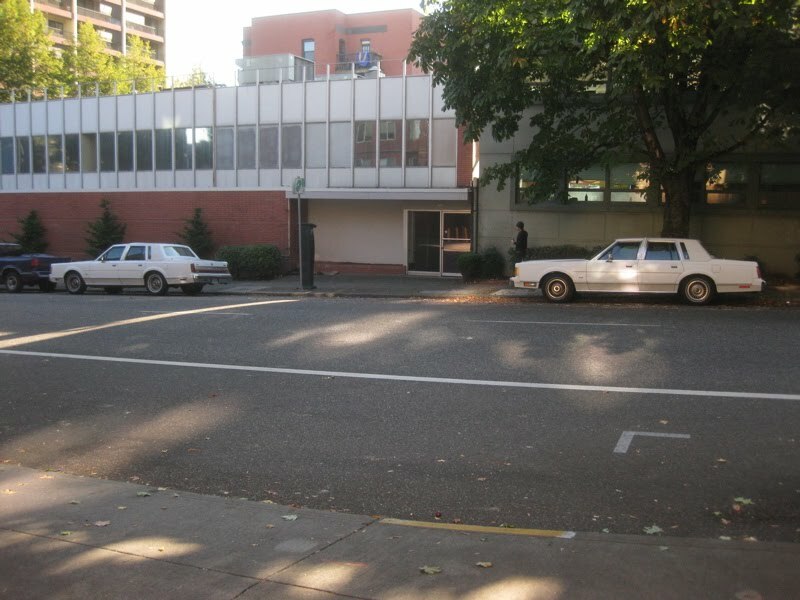 : Matching 1981 Lincoln Town Cars. Matching 1981 Lincoln Town Cars. Looks more like an 86 or 87-89 due to the swept down rear taillight section. The styling of the 81s were more straight down than that. Its an 88. You can see it by the hood ornament. Its the narrow one. Until 88 they were wider. But 89 hat the Lincoln-script in the grill. This one not. So its an 88. Wait a second! In the last photo the car on the right that might be the 81'. I totally agree concerning the first Lincoln everybody is commenting about, It is an 88-89. Unfortunately no close-ups were taken of the other Lincoln (THE LAST PICTURE THAT HAS TWO LINCOLNS.) 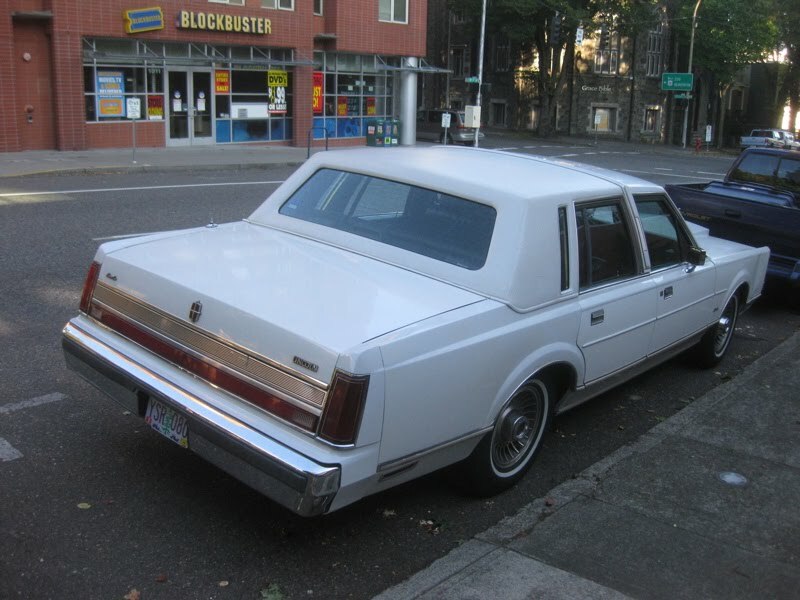 The Lincoln in this photo that I'm mentioning is the one on the right it is in back of the 88-89. 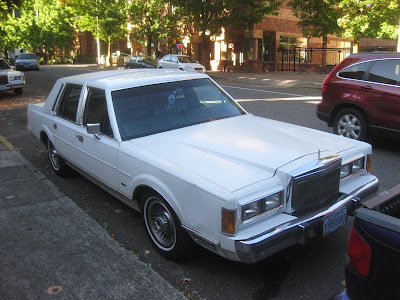 Looking at it from a distance it does look more boxy/pointy like the 80–84 Lincoln town cars.